You’ve heard of California wine country, but have you heard of Michigan wine country? We assure you, it exists and it is flourishing! In fact, different regions of the state have organized their own wine trails to highlight local wines. You can explore the Lake Michigan Shore Wine Trail near Grand Rapids, the Bay View Wine Trail in Northwest Michigan, the Leelanau Peninsula Wine Trail around Grand Traverse Bay, and the Southeast Michigan Pioneer Wine Trail which goes right through our backyard. We’re adding a few stops to the local winery itinerary by showcasing our favorite vineyards and tasting rooms near Ann Arbor. Each one is worth the sip — or bottle. Owner Michael Wells went from a Fire Department Lieutenant with a dream to an outstanding grape grower and winemaker. 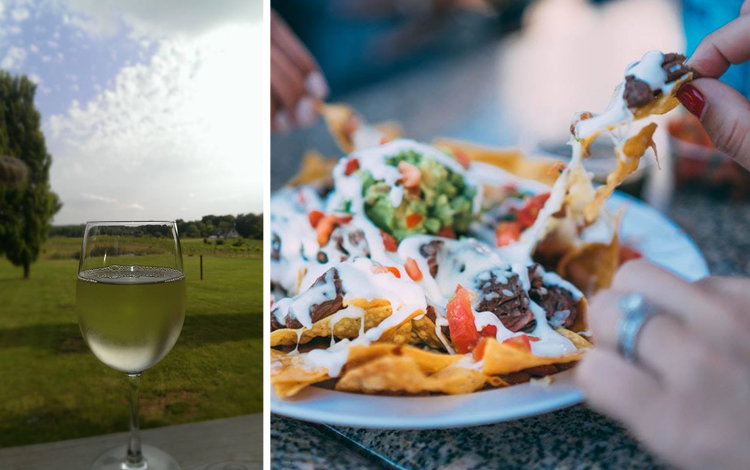 Today, his picturesque vineyard offers a cozy tasting room and a covered deck with a lineup of handcrafted wines, a menu of mouth-watering appetizers, and live entertainment on Fridays and Saturdays! Chateau Aeronautique has two venues to taste their wines and attend special events. The original Airpark Tasting Room in Jackson features airplane decor, including paintings of vintage airplanes and a grass runway. The Irish Hills in Onsted sits on 26-acres of vineyard landscape and has a 1976 German glider wing for a bar top, vintage destination posters and airliner seats for seating. Both locations host private events, wine tastings and public celebrations! See the upcoming events here. Deb and Dave Burgdorf have been making wine for over 30 years. Combined, they boast a Master of Science degree in Microbiology, a Bachelor of Science degree in Agriculture, over 15 years of experience in fermentation, and 30 years of experience working with plants and conservation planning. This all results in award-winning fruit and grape wines which you can taste on-site at the gift shop and tasting room nestled on a 5-acre countryside estate. Nestled in the Irish Hills, this family-owned winery celebrates over 100 years of winemaking knowledge passed down through four generations. 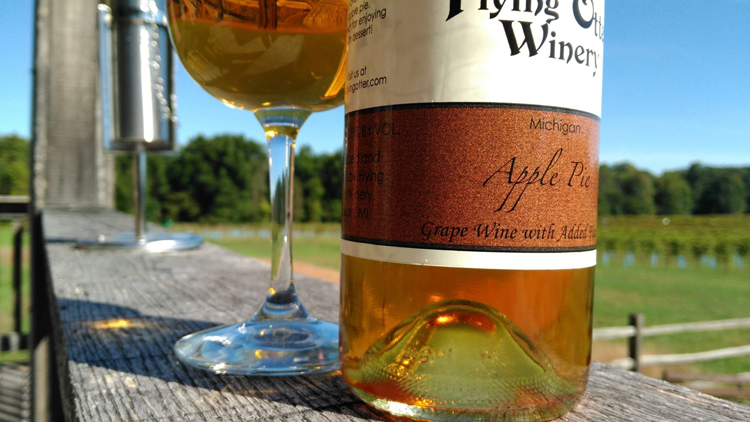 Inside the historic 1870 schoolhouse tasting room and seasonal café, you can sip award-winning grape wines, fruit wines and ciders, sample freshly made butter fudge, taste their Michigan Cherry Preserves, and more! Bring the whole family along for events, including holiday celebrations, dinners and pairings. Made right in the heart of Ann Arbor, De Angelis wines contain no added sulfites or preservatives — only grapes. Inside the Jackson Road winery, you can enjoy tastings and frequent live music shows. Follow the team on Facebook for updates on events and tastings. Though the work never stops inside the winery, the Flying Otter outdoor tasting room is only open seasonally. 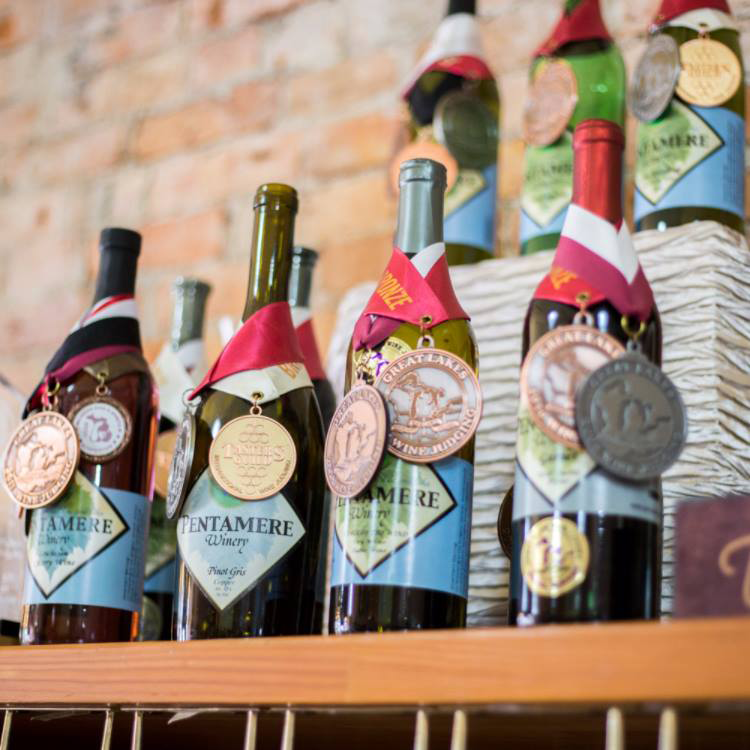 However, their charming atmosphere, live music events and award-winning wines have landed them multiple honors in the Daily Telegram’s Best of Lenawee competition: first place in the Best Winery category and second in Best Wine for 2017! They use cold climate hybrid wine grapes grown on the estate to create each of their must-try wines. Located in the Historic Hayden-Ford Mill, J. Trees Cellars has created a cozy environment for tastings where they’ve paired their handcrafted beverages with a menu of cheese and meat platters and delicious sandwiches. Open for visits Friday through Sunday, you can stop in to sample their wines and ciders made from both estate-grown fruits and other fruits sourced from around the state. Lone Oak is Southeast Michigan’s oldest and largest commercial vineyard. Over the years, they’ve developed 12 world-class European grape varieties which cover their picturesque 25-acre vineyard. 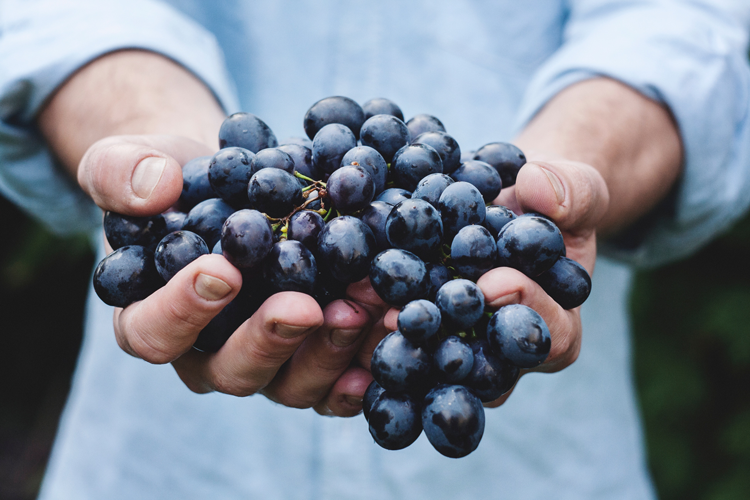 Using these grapes, they craft Cabernet Sauvignon, Merlot, Pinot Noir, Chardonnay, Riesling and other outstanding European varietals — from dry to semi-dry and even dessert wines! In addition to chef’s wine dinners, special occasion concerts and annual celebrations, they host live music on the deck every Saturday from 2 – 5 p.m. with fresh baked bread, cheeses and other appetizers available for purchase. Thirty minutes outside of Ann Arbor in Northville, this winery and brewery experience is a must! The family-run business is a taphouse for their own wines, ciders and beers. And it functions as a music venue with shows from both local bands and solo musicians. Stop by on a Thursday evening to hear Dead at the Winery, a Grateful Dead Tribute Band, accompanied by some of the region’s best beverages. This family-owned and operated winery is nestled in Downtown Tecumseh. They use grapes sourced from Michigan and the Great Lakes region to create wines in-house which means you can take a peek into the winemaking process and witness the beautiful transformation from grape to wine right in the tasting room. You can preview the wines and order online here, but we definitely recommend stopping in to visit this hyper-local spot! Sandhill Crane operates a year-round tasting room in Jackson and the Cider Mill Tasting Room in Dexter during apple season. 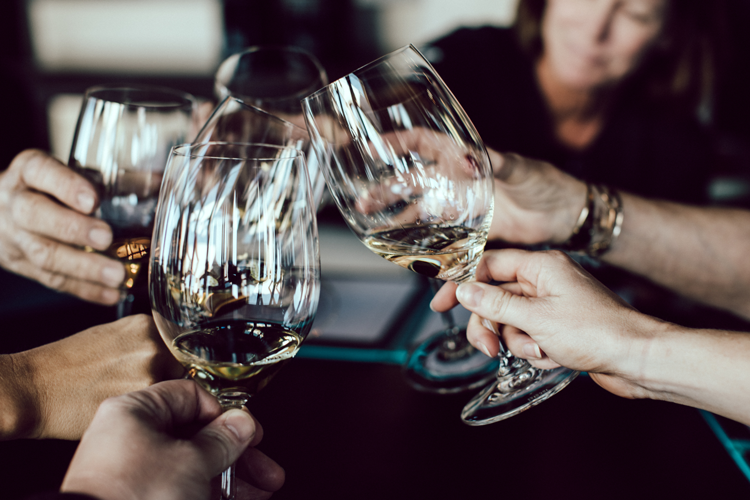 Made in small batches right on the premises, the tasting lineup includes well-balanced acidic white wines, rich reds, flavorful fruit wines and delicious dessert wines. Upon visiting, you’ll soon find a second home at this casual, welcoming, family-friendly wine destination. This drinking destination and eatery is a must-visit in Jackson. Operating under the name Grand River Brewery, they feature a brewery, Sleeping Bear Winery, a craft distillery and a farm-to-table restaurant. There’s something for everyone to enjoy! In the brewery, they create beverages using only Michigan hops and Midwestern malted barley. In the winery, they showcase the same love for local by using locally grown grapes, as well as apples in their hard ciders. Owners and wine lovers Hermin Rahimi and Dan Harris have always dreamed of opening their own winery. Due to its rustic nature and proximity to the vineyards of Southwest Michigan, they chose Napoleon as the home of Villa Del Vino and have been building that home for years. Today, they have a developing vineyard of their own and also work with domestic wines out of California. Stop in the tasting room on Saturday and Sunday afternoons to taste the blends for yourself and learn more! Owners and winemakers Mark and Sherrie Zucker found their passion for winemaking after they received a homemade bottle of wine as a gift. And today, Vine2Wine has been open for nearly two decades! 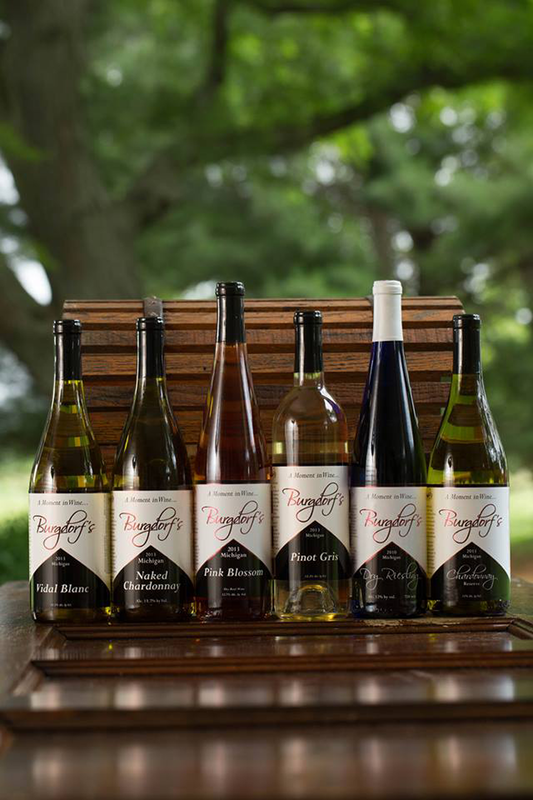 Through the years, they’ve been crafting small batch wines made in the heart of Northville with the best juices sourced from around the world.